American turkey. 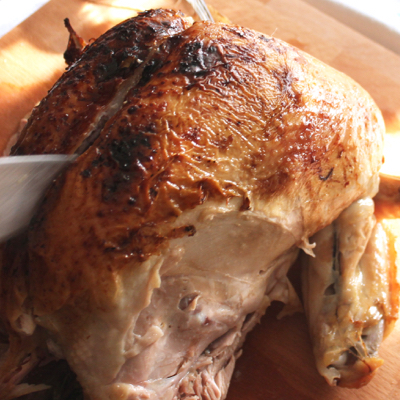 Thanksgiving, Christmas, NYE, any day is a good excuse to have a juicy and tasty roast turkey. 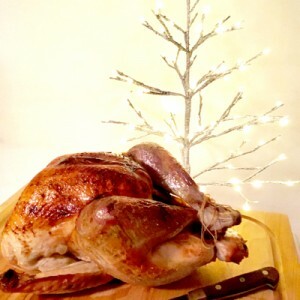 I tasted it a couple of times in the States and I was always impressed by the incredible taste that Americans can give to the simple boring turkey meat. 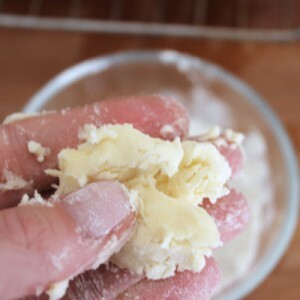 Anytime I went to the States, as I usually do, I have asked the recipe, the tricks, the way you should cut it, etc. And I have put all suggestions I received together in this recipe. 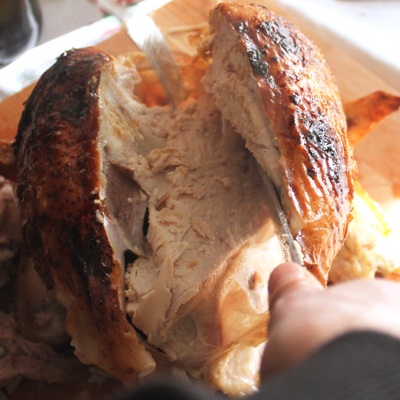 On Thanksgiving usually the turkey can be stuffed with a chestnuts and bread mixture but I prefer this super-juicy and simple version with no stuffing at all. Voice to the meat! 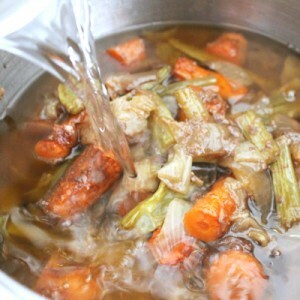 In a small casserole put half liter of water, and all the ingrdients for the brine. 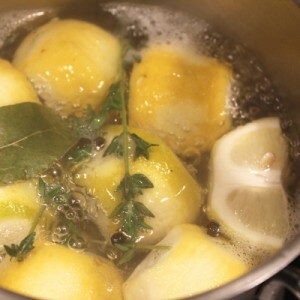 Bring to a boil and let simmer for 5 minutes. Bring back to room-temperature. 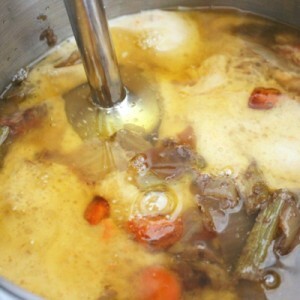 Put it into a container or a pot big enough to contain the turkey, add the water. Mix well and lower the turkey into the brine – make sure the turkey is fully covered (in case add some extra water). 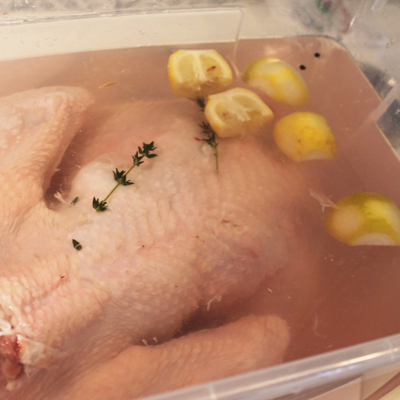 After 24 to 36 hours, take the turkey out, discard the brine. And drain it completely. Set aside for 30 minutes and then dry it with a clean cloth. 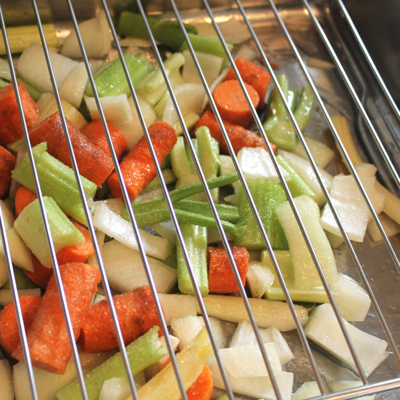 Meanwhile cut the vegetable into chunks (2 cm each), mix them well with the oil and put them into the roasting pan, cover with the roasting rack (the vegetables should not touch the turkey). 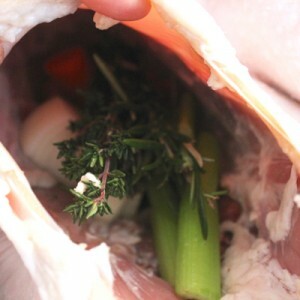 Retain 1 handful of vegetables (you will need them to stuff the cavity of the turkey). Pre-heat oven to 180° C (fan off). Stuff the turkey with the bunch of vegetables you kept aside, the salt the garlic head (cut horizontally), the rosemary and thyme. 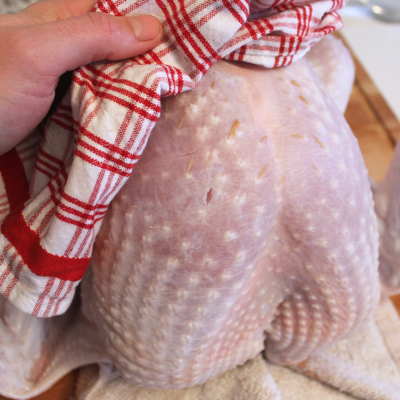 Tie the legs together with kitchen twine. And tie the wings as well as close as possible to the back of the bird. Put it on the rack – breast up. 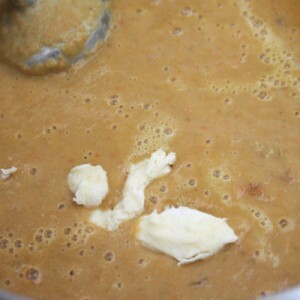 In a small casserole, heat the butter and the maple syrup until all is dissolved. Brush the turkey all over with the butter+maple syrup mixture and place into the oven. After 20 minutes, pour one cm of water into the bottom of the pan and brush the turkey once again with the butter. 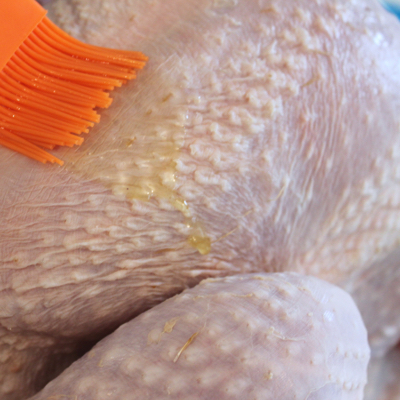 Brush the turkey every 20/25 minutes. 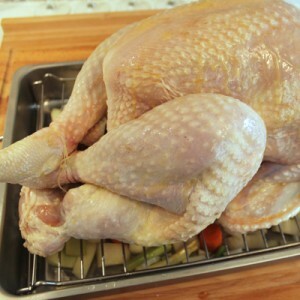 Cook for 2H15 minutes – if it gets too dark, cover with aluminium foil. Turn the pan every now and then to cook evenly. After 2H15 ninutes, keep the temperature and turn the function to ventilated (this will make the skin crispier), brush the butter and sprinkle generously with salt. Again, make sure you turn the pan to cook evenly. Cook for furthern 20 minutes. With a thermometer, check the inside temperature – if it is 75° C, the turkey is done. 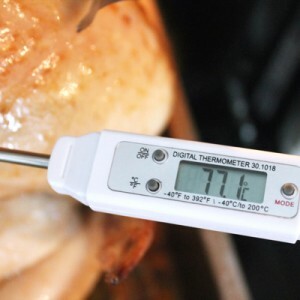 You should insert the termometer in the area between the breat and the thigh. 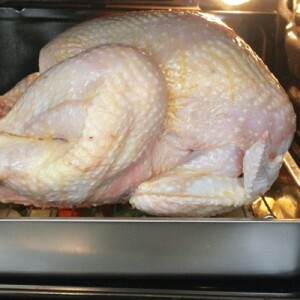 In 2H45 minutes, the turkey is done. (the timing is based on a 6,5 kilos turkey – different size of turkey would mean different timing. Either way the inside temperature at 75° C means done and still juicy). Take out from oven and let it rest for 30 minutes before serving, Meanwhile transfer into a casserole the vegetables and the liquids at the bottom of the pan. 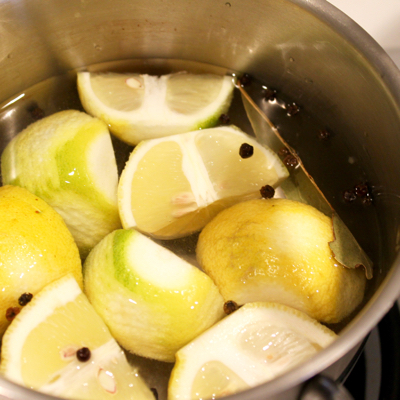 Add 2 cups of water – season with salti f necessary. 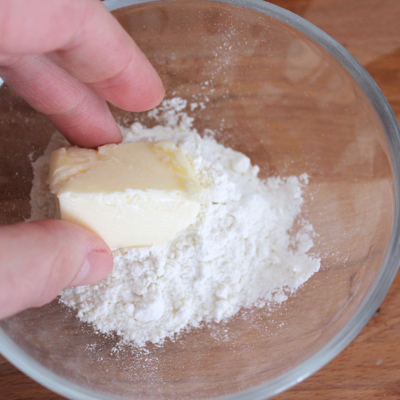 Add a tablespoon of butter mixed with a tablespoon of flour. Bring to a boil and let it simmer for 2/3 minutes. Set aside and keep warm. 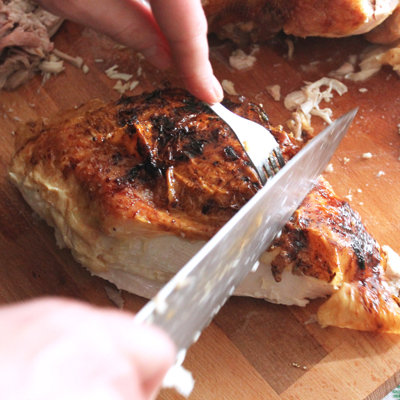 First you cut the full legs separating the thigh and the drumstick. 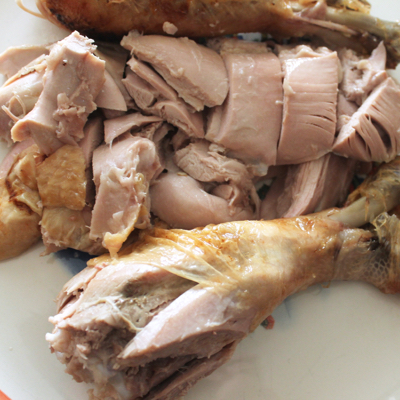 The thigh then need to be deboned and sliced up (1,5 cm thick). 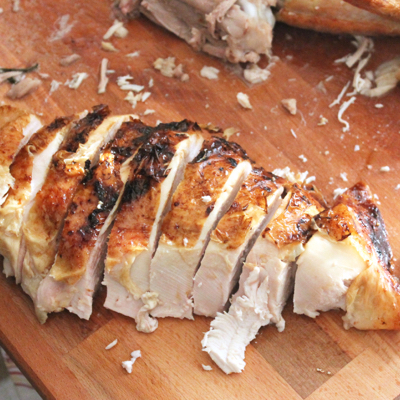 The breast can be sliced directly (but in this case someone will get the biggest portion of crispy skin!). First you cut down the half along the breast bone then slice horizontally or take the half breast off the bones (cut all the way down starting from the central breast bone) and slice it on a cutting board – the slices will be smaller and easier to serve. Last you carve the wings. Serve with salt or the sauce above.